All PPT POP Quiz Ch 1-4 have been scored and the scores have been entered in Grade Center.Enjoy a wonderful Thanksgiving.Reminder that your Landmark/National Monument PPT Project is due as you walk in to class at our next class meeting. Reminder: if you have a song you would care to use for your final project, and you do not have that song in your iTunes library, please let me know by Dec1. I will send the song to you via email, so please be certain to include your email address in your message to me. 6. All grades have been entered in GRADE CENTER by noon Monday, November 14, 2016. PLEASE, review your grades in Grade Center and let Dr. Lancaster know if there is a discrepancy between the posted grades and the grades written on your returned papers. Review Multiple Choice (p. 520) and Chapter Objectives (519) for Excel Chapter 4. August 25/26, 2016 Quote for today: Give a man a fish and he will eat for a day. Teach a man to fish and he will eat for a lifetime. Complete the Blackboard Discussion #1—Introduction, Respond to at least two other classmates. On Sat or Sunday—Reveal Your White Lie. The Discussion Board is worth 30 points. Complete: Read Chapter 2, pp. 163-215 Record questions for further discussion. All Word Chapter assignments are due today. All Word assignments must be turned in by October 13/14 in order to receive credit. What does 538 represent ? I am the son of a terriorist. Here is how I chose peace. Step 1. Include the title of each TED talk and evaluate the speaker and the content. Was the speaker well informed? Easy to listen to? Include other comments with regard to the speaker. Step 2. Identify the key points that you learned from the TED Talk. Compare the three TED talks and rate each and include the reasons for your rating. Turn in this assignment at the next class meeting. **The firewall at school might prevent you from watching while you are at school. 358 Hands on Exercises file e01h4markup_ Complete Steps 1, 2, 3, 4, 5, Save file, print file and turn in during class today. Step 1 Manage Worksheets; Step 2 Delete A Row; Step 3 Insert A Column and Three Rows; Step 4 Move a Row; Step 5 Adjust Column Width and Row Height; Step 6 Hide and Unhide Columns. Read and follow text book directions for pp 341-345. Most of this information will be new for this class and will be necessary to understand in the class work for the Excel Chapter activities. Turn to page 369, Select ONE of the following exercises to complete. October 13/14 Southwestern will be on Fall Break from October 11 thru October 25— Chromebook users Use appropriate Google docs to work on Excel—Spreadsheet assignments OR find a Windows computer with Microsoft Office to complete the Excel assignments. In addition to the song lyrics, what other media is used to convey information? What “lyrics” or historical events are included in the song/movie that you were not familiar with (i.e. “Children of Thalidomide” What does that mean, how did the song show this event? Technology Terminology Test –Retest Earn an 82 or above. Read and follow the directions in the textbook, pp. 399-401.
Review Multiple Choice (p. 410) and Chapter Objectives (409) for Excel Chapter 2. October 20/21 Turn in all Excel assignments due to date. Review Multiple Choice (p. 464) and Chapter Objectives (462) for Excel Chapter 3. Intro to PowerPoint. Please read the following pages. PowerPoint Project will be presented and explained. Topics will be selected. Rubrics, scoring guides and due dates will be explained. October 6/7, 2016 Quote for today: Technology can change the way that teachers teach and the way that students learn. Technology integration is all about content. Technology is the tool which engages students and enhances learning. Spring Semester 2016 will end this week. On Thursday, 4/21, we will begin our Windows Movie Maker Project. Please bring the following items with you to class. 1. Photos (or picture taken of photos you want to use.) You can take a photo of a photo with your phone camera and mail the photo to yourself. Download the image of the photo and save the file. 2. Music which you like. You will need to bring an MP3 version of the music. We can find some FREE music or you can bring music from your iTunes library. If you have a song in mind that you would like to use and you don’t have that song, please let me know. WE CAN NOT generally download music in the computer lab where we have class. You can download songs at home and bring the file to class. 3. Bring a plan for organizing your photos. My topic (my family), by interests (my trips), by Hobbies, etc. 4. Handouts for this project will be given out on Thursday. This project is due on Thursday, April 28th for peer scoring and for presentation to the class. 5. Beginning on 4/21 I will be teaching you how to use Windows Movie Maker and how to save your file. Handouts for Window Movie Maker Projects. Just a reminder….ALL National Park Presentations will be given in class on Tuesday, April 12. Any late presentations given after April 12 will have a reduction of points. 1. Your National Park Folder will be placed on the presenter’s station. 2. Your PEER SCORED Rubric with YOUR NAME AND the PEER’S NAME will be turned in by the printer at the presenter’s station. 4. When you give your presentation in class, please speak loudly and slowly and please DO NOT READ your presentation to the class. You are reminded that there is a three minute time limit. How can I best use my time to prepare my PPT National Park Presentation? After you research, CREATE a STORYBOARD to determine the order of what information to have on which PPT slide, CREATE a recording of your voice for the WELCOME slide, OPEN PPT and select your colors and theme. ALL previous assignments are due today. Word and Excel assignments will receive point reductions after this date. PPT Presentations dates will be announced next week. PPT Presentation will be due AFTER Spring Break. FALL REGISTRATION–Please show evidence of Fall 2016 Registration. National Park Service Click on your National Park and you will be taken to a website on that park. FALL REGISTRATION–Please show evidence of Fall 2016 Registration. Details will be explained in class. Begin Assignment Excel 2B pp 392—END at pp 406. Download the following file e02B_Weekly_Sales Rose Plantings. Select one TED talk from this list (PDF file attached). March 1 Today’s Quote: Example isn’t another way to teach, it is the only way to teach. Go Pro Video–Please bring headphones (ear buds) with you to class. 2. What was the excitement and or challenge in the Go Pro Video? Video of the Day……select a “Video of the Day” from the list on the right of the webpage. Review the content of the Go Pro video; c) give the Go Pro Video a rating relative to the video you watched in the section above. Today’s Quote: If all else fails, READ the directions. ~R. W. Emerson. ALL WORD documents due today for full credit. Save file, save file with your name and assignment in the footer. 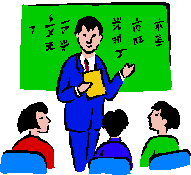 Today’s Quote: Teachers are communicators; they review the past, enrich the present, and teach the future. Re-Test dates will be announced for those students who need to repeat the Test to achieve a Master Goal. Hardware Quiz –Tuesday, February 16 Hardware quiz—Review Basic Computer Concepts pp CC1-CC57. Please be ready to identify photos of the following technology hardware. Complete Project 2C and turn in. Be certain to have a footer with your name and the name of the assignment. For Practice: Review End of Chapter Summary pp CC55 -56. Read Word Chapter 1 in Textbook before next class. Begin Assignment 1B—Information Handout pp. 140-pp. 156 (Include inserting an online video). Do not submit electronically. Please print document and turn in. If you DO NOT complete this assignment on Thursday, please bring the completed and PRINTED 1B assignment with you to turn in on Tuesday, February 2nd. Insert a Footer and insert your name and the name of the assignment. Today’s Quote: Learn from the PAST, Live in the PRESENT, and Plan for the FUTURE. Read Word Chapter 1 in Textbook before next 1/28/2016 Thursday’s class. Today’s Quote: Technology can change the way that teachers teach and the way that students learn. Technology integration is all about the content. Technology is the tool which engages students and enhances learning. Read other introductions and respond to your classmates posts. On Sunday, 1/24/2016, Reveal your “white lie”. Please bring a “flash drive/thumb drive” with you to each class. Reading assignments will be discussed and you may ask questions. Please bring your book to class. Photo of a Bassist (Bass Player) (Select one photo from two choices. At our class session on Thursday, January 21 we will discuss Key Technology Terminology Terms. January 12 Quote for the day: Give a man a fish and he will eat for a day. Teach a man to fish and he will eat for a lifetime. Please visit Class Sessions on Blackboard for updated information. Go to WD p. 55—Apply Your Knowledge. Follow the directions from the textbook to complete this assignment. Open the document, Apply 1-1 County Park Flyer Unformatted from the Data Files for Students. The document you open is an unformatted flyer, Follow Steps 1-25. You are to modify the text, format paragraphs and characters, and insert a picture in the flyer to create the flyer shown in Figure 1-74 on page WD55 of the textbook. Monday’s assignments – 11/23 Completing PPT Game Show presentations, introducing the Windows Movie Maker software on the computers in the lab and reviewing the topic for your Windows Movie Maker project based assignment. Please continue working on the ACCESS terminology and features. Please Check Grade Center before Wednesday–all grades whould be entered. Read pages-Access 1-23 Complete the worksheet below. Quote of the Day: I am only one; but still I am one. I cannot do everything, but still I can do something; I will not refuse to do something I can do. – Helen Keller. U S National Park PowerPoint Presentations–place your presentation in the folder on the presenter’s station for this class. Turn in Self Scored/Peer Scored rubric and slide handouts. Turn in all papers which are missing in Grade Center (if you wish to turn in for credit). — Please turn in TED talks. Quote for Thursday 10/29 The good teacher explains. The superior teacher demonstrates. The great teacher inspires. William Arthur Ward. Email if you want to go first for presentations. Select one TED talk from this list (PDF file attached). From the TED Talks web site, https://www.ted.com/talks or the Most Popular TED talks of all time ( 20 TED talks), select another TED talk and write a paragraph about the content of each of the 2 TED talks you viewed. What did you learn from each TED talk you viewed? Due on Thursday. Quote for Thursday10/15 Technology will not replace teachers, but teachers who use technology will replace those who don’t. –Ray Clifford. Turn in all Excel Assignments from previously class if you have not already completed. Final Excel Assignment for Chapter 3 pp. Excel 198-202. In the Labs: Design and/or create a workbook using the guidelines, concepts, and skills presented in this chapter. Labs 1 requires you to create solutions based on what you learned in the chapter. Lab 1: Problem: Your supervisor in the finance department at Adoptive Solutions Online has asked you to create a worksheet for the flagship product that will project the annual gross margin, total expenses, operating income, income taxes and net income for the next eight years based on the assumptions in Table 3-9 (Table is in your book). The desired worksheet is shown in Figure 3-84 (in your book). In Part 1 you will created the worksheet, In Part 2 you will create a chart to present the data shown in Figure 3-85 (figure is in your book on page Ex 201.) In Part 3 you will use Goal see to analyze three different sales scenarios. Complete Excel Assignments, Save, Print. READ ALL DIRECTIONS. Please include appropriate footer for each assignment with YOUR NAME and File Name. This assignment should be turned in before the end of this class. This assignment is worth 100 points. Submit Excel Chapter2 assignments ( if you have not already tuned in Ch 2 project 1a( Flexline Cab), Your Turn ( Briteeny Taxi) and Extend Your Knowledge ( Blogworld –Excel pp. 121). 2. Go Pro Videos—View and write a general description – Turn in Thursday October 15, 2015. This assignment is worth 20 points. What was the excitement and or challenge in the Go Pro Video? Complete Excel Assignments, Save and Print. READ ALL DIRECTIONS. Please include an appropriate footer for each assignment with YOUR Name and the File Name. Save the name of each file by putting your name in the footer and including the name of the file by adding the file name in the footer. 1. Excel—Review Exercise 1b—Please complete during class time, save, print and turn in this assignment. Complete, Save, Print and Turn in this assignment. Students must score a 90% or above. Students may retake the test if necessary to obtain the 90% score. Grade information will be posted as soon as possible. Excel, Chapter 2 –Please turn in assignments Excel 1b, Apply Your Knowledge, Extend Your Knowledge from last class. Today’s Assignment— Excel Chapter 2—Project 1a—Flex Cab Company—Add Formulas and Format a Revenue Report. Complete, Save, Print and Turn in. Review Excel Chapter 1–Chapter Summary–What questions do you have. Using the textbook as a guide, complete Excel Chapter 1 Project 1a–Flex Cab. Remember to put your name and the name of the file in the footer of your file. We will lister to “We Didn’t Start the Fire” by Billy Joel as we look at a movie which depicts images of the lyrics from the song. Review Chapter summary on page EX 118–what questions do you have regarding Excel Chapter 2 ? Download files from Blackboard–Class Sessions. Quote for Tuesday, 9/ 22 Teachers are communicators; they review the past, enrich the present and teach the future. For Today’s Word Assignment, please visit Blackboard Class Sessions. These files will be needed for theLanguage Institute Assignment. Quote for Thursday 9/23 Teachers open the door, but you enter by yourself. Chinese Proverb. Turn in class work from Tuesday ( if not turned in on Tuesday). Review Discussion Board #2 for this week. In Class Assignment: Begin each assignment by placing your name and the title of the assignment in the footer. Complete Discussion Board Assignment #2 Responding to at least two class members by midnight Sunday, September 13, 2015. Clarify which Technology Terminology Terms need clarification. Respond to two students to assist in clarification of terms which are unclear to your classmates. Review Technology Chapter IT. Read IT pp 1-40.
Review Technology Terms IT p 37—Prepare for Technology Terminology Test will be given in class on Thursday, September 24. Begin assignment by placing your name and the title of the assignment in the footer. WD 135. Consider This: Your Turn. 1. Create a Research Paper about Laptops, Tablets and Desktops. Using the file Your Turn 2-1 Computer Notes, (located in Blackboard, Class Sessions). Use the instructions in Lab 1, pp. 128-130 to guide you as you complete the instructions in Your Turn #1. Use the Chapter Summary WD pp. 123 as a guide. Using the concepts and techniques presented in this chapter, organize the notes in the text in the file, rewording as necessary, and then create and format this research paper according to the MLA documentation style. Be sure to check spelling and grammar of the finished paper. Once you have finished the assignment for the Your Turn 2-1 Part 1, create and label another section on the paper for Your Turn 2-1 Part 2—Respond to the questions stated in Part 2. Follow the directions from the textbook to complete this assignment. Follow Steps 1-15 in the textbook. You will add: another footnote to the paper, convert the footnotes to endnotes, modify the Endnote Text Style, change the format of the note references marks, use Word’s readability statistics, translate the document to another language (Figure 2-81 on the next page) and convert the document from MLA to APA documentation style. September 1 Quote for the day: Technology can change the way that teachers teach and the way that students learn. Technology integration is all about the content. Technology is the tool which engages students and enhances learning. In class—turn in completed Bassist Word Activity. Two pictures called Hot Air Balloon 1 and 2 or you can use your own digital pictures. Prior to coming to class on Thursday, September 3, Read Word Chapter 2 pp. WD 66-123. August 25 Quote for the day: Give a man a fish and he will eat for a day. Teach a man to fish and he will eat for a lifetime.